Its mission is to develop cellular therapies based on the use of adult mesenchymal stem cells (MSC). These therapies aim to regenerate damaged tissues in many age-related pathologies and chronic inflammatory diseases currently without curative treatment, and are therefore a major goal in medicine. The research infrastructure brings together key national actors in an integrated governance with the aim of enabling partners and teams requesting our support to become European leaders in their field of competence. 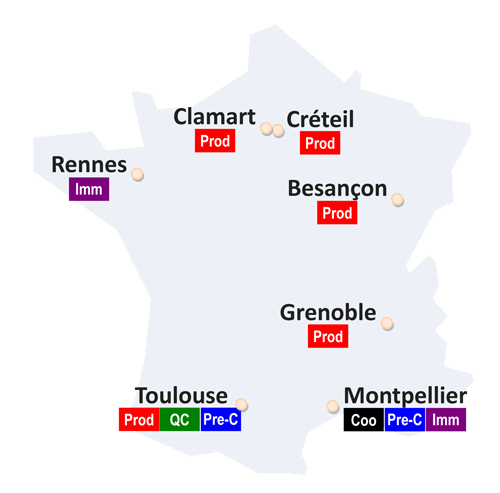 Since its creation in 2012, ECELLFRANCE has been involved in over 20 national and European research & innovation programs in cell-based therapy. 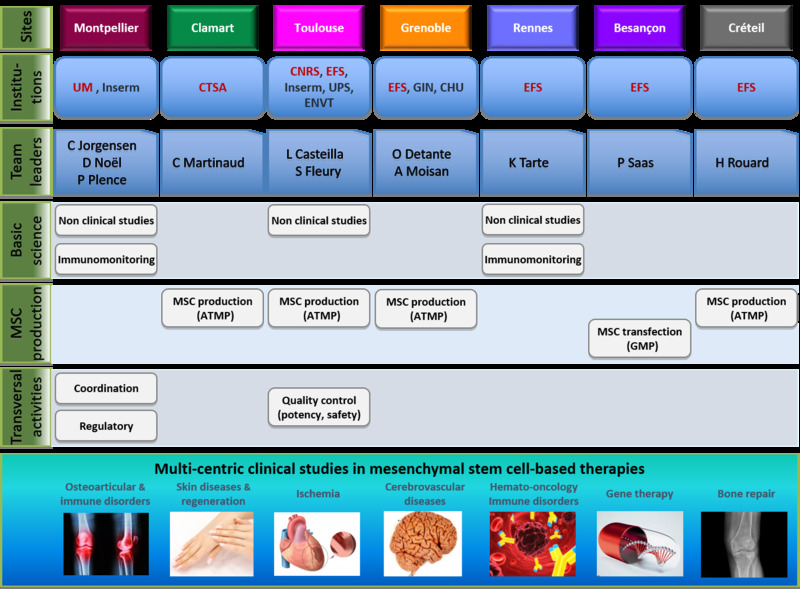 "Each site is associated with specific activities, technological platforms, and clinical expertise"
ECELLFrance clinical expertise in MSC therapy investigations include: osteoarticular conditions, cutaneous conditions, ischemia, cerebrovascular disorders, immunological disorders and alloreactivity. All contacts and ECELLEFRANCE services.